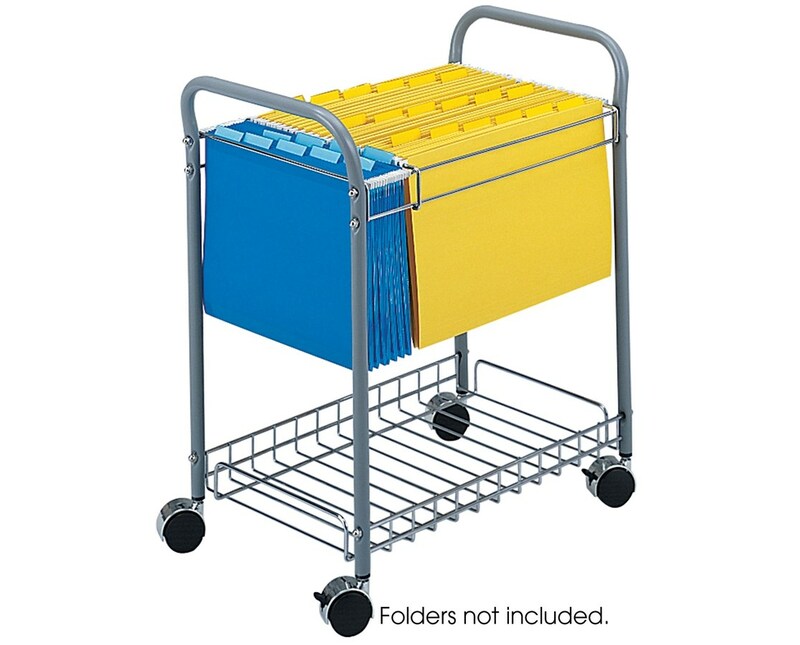 The Safco Rolling Project File helps keep documents organized and close at hand. 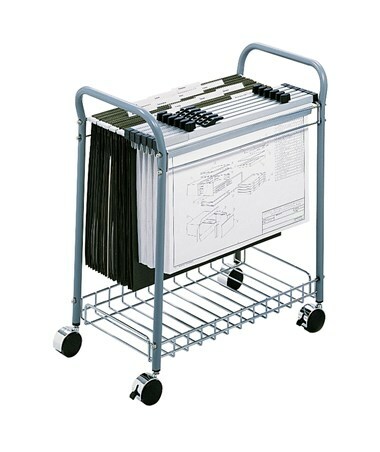 It accommodates 18 by 14-inch folders and can hold up to 12 pieces of 18-inch hanging clamps. A lipped bottom shelf is also included to be used as an additional storage space. 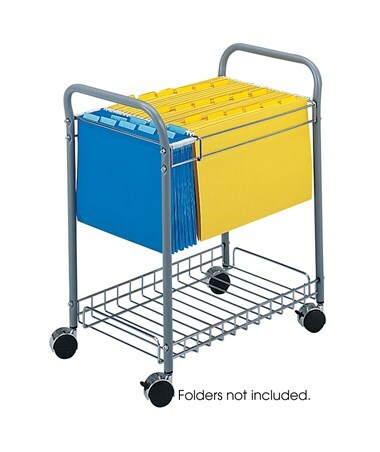 This project file cart runs smoothly on four swivel casters and two of these casters can be locked for a stationary storage option. It has a tubular steel frame with steel wire supports with a gray powder coat finish that makes it scratch-resistant. Its small size allows it to easily slides under desks and save space. It is also GREENGUARD certified which guarantees that it is safe for indoor use and does not emit harmful chemicals.